Over the last two days we have highlighted how a smartphone is changing the game for people globally by providing easy access, 24x7x365 to information that is relevant to your life, your shopping, your health, interests and breaking news. Did you know that the average shopper used 10.4 sources of information to make a decision in 2011, up from 5.3 sources in 2010? Those 10.4 sources range from TV commercials and magazine articles, to recommendations from friends and family, to websites, ratings and blogs online. www.zeromomentoftruth.com. But I digress. Today we are talking about dongles. Technology folks have such interesting terms. A bug for example – not good. Some bugs are good, but not in technology. Plus they have so many acronyms like SOAP, AJAX etc. No, not kitchen cleaners. And this brings us to the dongle. What exactly is a dongle? According to Dictionary.com a dongle is a hardware device attached to a computer without which a particular software program will not run: used to prevent unauthorized use. Well, let’s see how a dongle is being used by an awesome new company called Square. www.squareup.com. 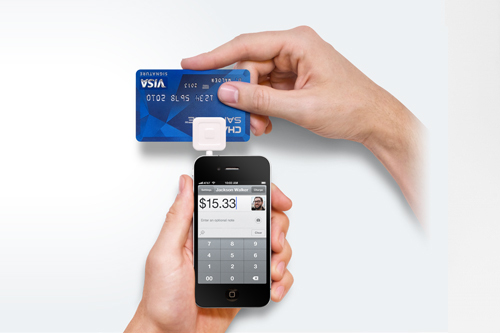 Square transforms your smartphone into a mobile payment device that can be used by businesses and consumers to collect payments from a customer by swiping their credit cards through the dongle and integrating with Square’s very cool and user friendly application that of course if easily downloaded from the app stores to your mobile device. Yes, Easy and Very Cool! Good for business – you bet. Sales can now be made without the high fees and long term contracts that come along with traditional credit card processing. How about as an individual. Having a yard sale this weekend – you can now accept credit cards as well by using the personal Square version. Very cool. You can visit www.entrepreneur.com for a great article on mobile payment systems. There are a number of other companies in this space such as Pay Anywhere and Swipe. The traditional credit card companies are working on alternative payment programs. And of course, given the power of your smartphone, there will be a day when that is all you will need to make a payment. We don’t need no stinking credit cards! Let me know what you think by commenting below.